Classic Shell • View topic - Is there any way to impliment more than just 3 tint colors? Is there any way to impliment more than just 3 tint colors? Post subject: Is there any way to impliment more than just 3 tint colors? Let's say this is my main start menu bitmap. Black would represent where the colors are defined by the other mask bitmap, or areas that would be otherwise ignored (if black on both masks). I'm not sure how something like this would effect performance, or how difficult this would be to implement. Maybe it would be best to not allow colors to overlap each other on the separate masks. Just a thought. Please let me know what you think, or if you otherwise have any other ideas for using more than just 3 mask colors. Thanks in advance. ; a pattern mask is specified. The Red, Green, Blue and Alpha channels of the mask determine where on the main menu the patterns will show. ; Emblems - The emblems are additional images that are drawn on top of the main menu without any stretching. You can have up to 10 separate emblems. ; align the image relative to the menu. The horizontal alignment can be left, left1, left2, right, right1, right2, center, center1, center2 or corner. ; The vertical alignment can be top, bottom, center or corner. ; Emblems can have a mask similar to the patterns, which will restrict where on the menu the emblem will show. The Classic style only needs one mask Main_emblem_mask. ; Only the first 4 emblems are affected by the mask. The other 6 will be drawn in full. can be reused for tints as well. Anyway, I wasn't even aware of pattern/emblem bitmaps. I'll have to do some experimenting with them. the whole process could be a lot easier. Tint color masks can be blended on the bitmap to achieve a mix. Less tints, and repeatable with different colors, equals smaller skin size. If you are a coder, is the MS code that makes the menu visible to you? On one of those versions, I made masks for a lot of the submenus and separators. Ends up lots of text. I'm not sure I understand what you mean by 'exact blend ratio'. If I'm understanding you correctly, Windows doesn't 'blend' colors (well not with the classic theme at least) but all of the system colors are stored in the registry and are completely changeable. It doesn't darken or brighten the color based on the ButtonFace color for borders, but rather it has unique border colors. Go to the Start Menu Skinning Tutorial page and check the System Colors section for a complete list of colors. I hope I'm understanding you correctly. Anyway, the pattern method works great. Thanks for your help! Take a look at your XP Classic Retro thread to see what I've been able to do with this. I thought skin is not going to work in Win 7, due to the $ sign for metro colors? 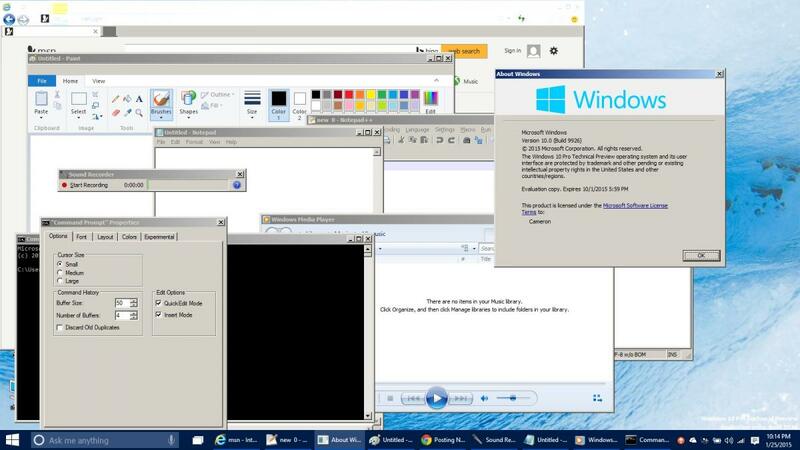 Works great on Win7, with the Windows Classic color adjustments. Similar to the way "Classic skin" works, but with adjustable gradient. Does that mean if you put the Win7 name for text color, that can be variable as well? In Win10, gradient is just one soft blue color. I'm sure you have that special hack way, to turn on the 3d border and colors. 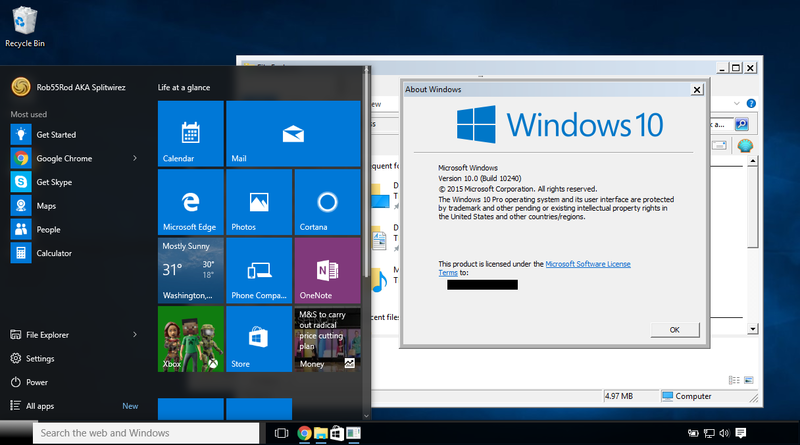 For Win 10 without any hack, having 3d borders built into skin. the menu picked color is mixed with white to get two different ratios for the lighter shades of that color. along with a white tint as background, to mix it to proper proportion. And Ivo's custom color picker built into skin option could be used instead. Well that was the way I was thinking, that could drastically reduce overall skin size. Yeah, that's kind of what I thought you were saying. Like I said, all of the border colors are unique and can be defined in the registry; it is possible to switch the dark/light colors. The only time Windows itself 'blends' colors is when the ButtonFace color is changed in the Advanced Appearance settings, and even then it writes those new colors to the registry. But by using patterns, it would totally be possible to have 3D borders with visual styles enabled. You'd just have to be smart about the masking bitmaps. On Win7 Classic mode, I could not figure out the menu text color. Most of time it would not change, sometimes it would. Huh, that's weird. $SystemMenuText should be correct. Anyway, I'd love to see a version with 'built-in' 3D borders that work with visual styles. Actually, if you look at the mask examples on the first post in this thread, those could actually be usable for just this. Just make one of them a main bitmap mask, and the other one a pattern mask, and you've got 3D borders that will change with your system. I'll try it out when I've got the time. in a Classic Shell Menu skin, could be compatible with the colors in any msstyles menu theme? I was playing with those masks of yours. Moving colors around. Getting 6 colors set up, then I stopped. with another 4 pattern mask tints equals 8 available colors. More than enough. Then remembered. Ivo said submenu does not use patterns, only main menu. Something about would slow operation/resources down. There are 4 colors available with submenu mask tints. Would require up to 5 colors to cover everything. Oh darn, I forgot about the submenus! I'd say we might just have to use unskined submenus, unfortunately. Either that or submenus that use a fixed color, and I personally am not a fan of that idea. Also, what was I thinking for not using $SystemMenuText? I mean that seems like a no-brainer, right? I guess I'll update that. Sorry, I did not see this thread until now. But no, you can't have more than 3 tint colors per bitmap, however you can mix them in any combination. It will allow you to achieve in-between gradients and shades. 3 tints plus the black = 4. So its doable. True, but I guess we'd have to exclude $System3DLight. To be honest I can live with that, especially since with most themes, $System3DLight ends up being the same color as $SystemBtnFace anyway. Was looking at your Windows XP Classic.skin. Does the " " force system font to be used? Plus! set colors as well as a 3d borders variation with your $ system text. It seems to look and work correctly so far, just like yours, but with 3d borders in Win 10 . Here is what I made so far for the baseball color in Win 98. It has built in color, not a theme color, using on normal Win 10 system theme. Only 16 more color variations to go. I'm thinking to copy what you did with a real picture of win 98 caption. or picture as emblem, on top of menu? If all works properly, I should be finished skin in less than a week. I found a classic theme that can be used on Win 10, along with built in 3d border variation of your skin (using the $ system text). This theme does make my web browser look funny. Still makes me mad MS took out the Classic theme option from Win8/10. How about a million of us request MS to put back in!? ...how does that look promising? It's just a High Contrast colour scheme .-. Does that mean a future build has itold build had it, or are you pulling my leg, with a hack? I copied icon bar effect. I used Ivo's icon frames, without a gap in between. I cant make it work in sytem variation though. Don't know what it references to. to use in your variation? Umm...yes and no. The Classic Theme was never removed, and all it takes is one tiny 3rd-party tool to re-enable it. Said tool doesn't even need to kill DWM to do so! Problem is, half the shell has no idea what to do with it and just falls apart in some way or another .-. I don't have all the time in the world to read all the forums. It's fine for playing around with on a "test system"
or worse, when it crashes and really screws things up. You made me remember on Win98 with the hundreds of BSODeaths. I was so frustrated, I made a boot screen picture of me throwing my computer out the window! If you guys can get it working higher than 99 %, let me know, and I will try then. Who does have time for all the forums? .-. Agreed, I'd never run it on my main machine at this point. ...which doesn't really happen much AFAIK because the tool is per-session but whatever, stranger things have happened. ...99%? How about "no essential functionality is lost or damaged"? .-. I didn’t literally throw my computer out window. Just a fake low res picture. I’m into electronics, so everything just gets modded/recycled into another creation. I doctor my machines, until no more life in them. I finished the Win98 plus! skin. I made completely new caption pictures, the original no good for hi dpi. Thankyou for all the text R.O.B. I have modified it somewhat. Well this is what I get for being so busy lately. I mean wow, I missed out on a lot here. Sorry I didn't get back to you, Juniper. Do you still have any questions for me? Or have you kind of figured everything out by yourself? I did kind of figure everything out for the skin. It works as it should with a minimal regular theme. that does not screw up the look on web pages. Splitwirez might know if possible?